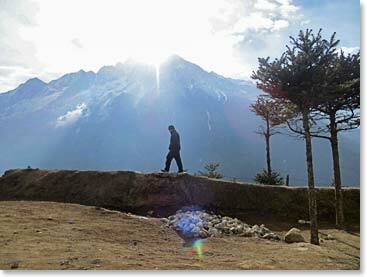 Steve and I made it back to base camp yesterday after a nice rest down-valley. 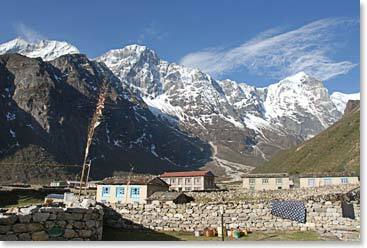 I spent a total of four nights at Pheriche, and one at Lobuche. This helped my cough and was a good mental break. The oxygen tension is noticeably higher at 14,000 feet, and you just feel better. The atrophy that takes place at higher altitude, with most climbers losing significant amounts of muscle, is at least temporarily halted by going lower. While fat is the energy storage tissue at sea level, unfortunately muscle is selectively broken down by your body at high altitudes for energy. This results in dramatic weight loss from loss of muscle. I do not think this Everest diet and exercise plan is ever going to go main stream for this reason. 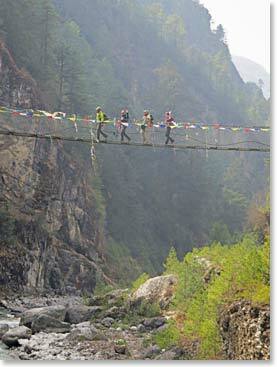 On the trip up we ran into a great group of Americans who are trekking in the Khumbu. 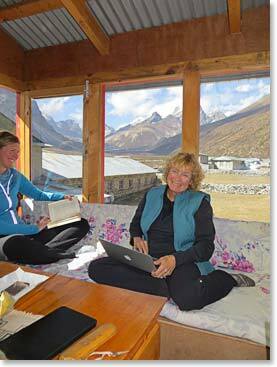 They joined us for some hot drinks in the Berg Adventures mess tent yesterday before descending back to Gorak Shep. 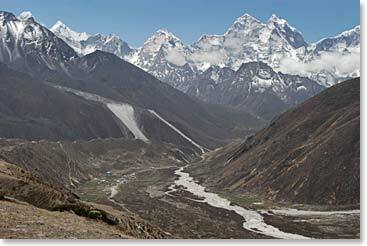 They are climbing Kala Patar today, and I believe they caught some great views. Best of luck and God’s speed to you all. We are now in an official hurry up and wait mode. 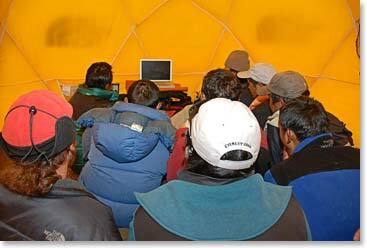 We are watching the forecasts and waiting for the correct time to launch our summit bid. Although we want to get up and get down ASAP, the winds on the mountain really don’t seem to care. There is no significant decrease in summit winds expected for the next few days, so I think we will at base camp until around the 13th, with a summit target of the 17th. This is the optimistic projection. The only thing I know for sure is that our plans change based on conditions, and in mountains, conditions are always changing. 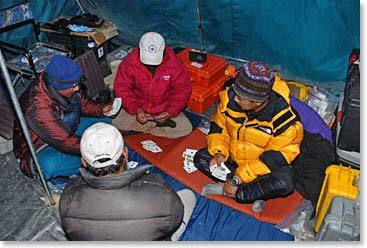 We continue to rest well here at base camp, with good food, warm tents and bodies that have acclimated to this altitude. Time passes by reading, writing, socializing, and the occasional movie night on a laptop. Sometimes you almost forget where you are and what is about to take place… almost.